Vijay Sethupathi is an indie-film star in Tamil Cinema. He is an actor, producer, lyricist, and dialogue writer who works mainly in Tamil movies. He is a natural actor with inborn talents and also called as “Makkal Selvan” (People’s Actor) in Tamil Nadu. 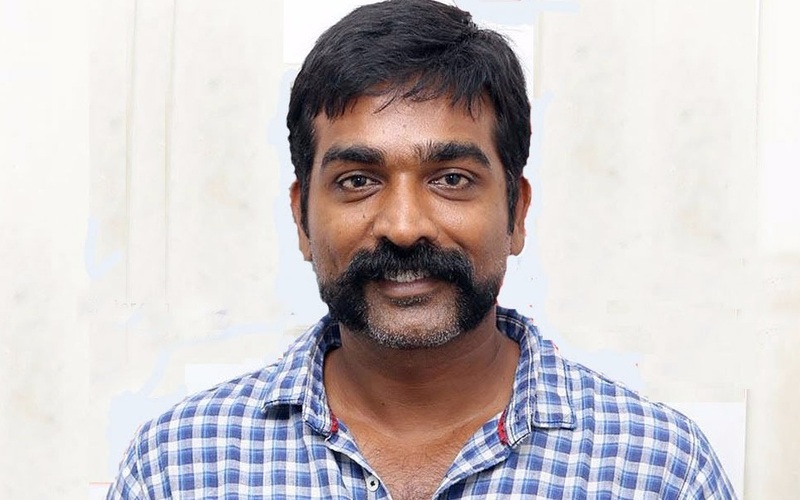 Born on 16 January, 1978, Vijay Sethupathi starred in successful movies such as “Soodhu Kavvum”, “Pizza”, and “Naanum Rowdydhaan.” He is one of the top names in the Tamil film industry along with Ajith and Silambarasan. Vijay was born in Rajapalayam, Tamil Nadu to a decent Tamil family. After completing high school from MGR School, Chennai, he attended Dhanraj Baid Jain College, Chennai to graduate in commerce. Before venturing into the acting field, he did many odd jobs like a salesman, cashier and phone booth operator. Vijay is 5 feet 9 inches tall with a muscular physique weighing around 143 lbs. This Capricorn artist is of Indian nationality and practices Hinduism. In 2003, he married his long time girlfriend Jessie. At present, he is the father of a son, Shreeja and a daughter, Surya. Vijay started his acting career by playing the role of Boxing spectator in the 2004 Tamil film “M. Kumaran S/O Mahalakshmi.” Further, he appeared in cameos and supporting roles in many films. In the meantime, he also worked in TV serial “Penn” in 2016. 2012 turned out to be the turning point of his career as “Pizza” turned out to be great commercial and critical success. Next, he emerged with hits such as “Naduvula Konjam Pakkatha Kaanom”, “Soodhu Kavvum”, and “Idharkuthane Aasaipattai Balakumara.” Then, he gave several flops. In 2015, Vijay paired opposite Nayanthara in “Naanum Rowdydhaan”, which turned out to be super hit at the box office. Further, he gave hits such as “Sethupathi” and “Kadhalum Kadanthu Pogum.” His recent release “Vikram Vedha” alongside Madhavan further proved his mettle as an actor. Besides feature film, he also acted in numerous short films such as “Thuru”, “Neer”, and “Wind.” He also wrote and produced the Tamil movie “Orange Mittai” in 2015. Viajay Sethupathi won much appreciation and many awards throughout his acting career. He won many titles such as Vijay Awards, SIIMA, Edison Awards, and Asiavision Awards. Vijay is one of the popular and busy actors in Kollywood. His remuneration of INR 2-3 crore per movie makes his net worth more than a million dollar. He is the brand ambassador for Minister White. Vijay Sethupathi is living a luxurious lifestyle with his family. He resides in a comfortable house and owns several lavish cars. Besides acting, his hobbies include singing and writing. In his free time, he loves to chill out with his wife and children.